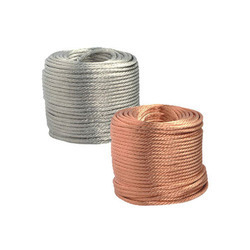 Our range of products include tin coated copper wires, bare bunched copper wires, bare flexible copper wires, copper wires, tinsel copper wires and braided copper wires. 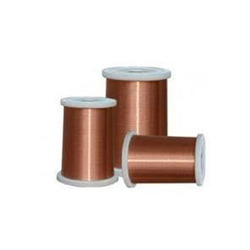 For the diverse needs and demands of the clients, we are involved in manufacturing and supplying Tin Coated Copper Wires. 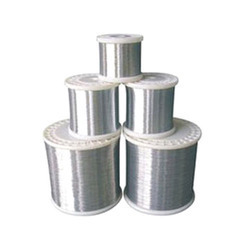 These wires are widely used in electronic, engineering and many other industries. 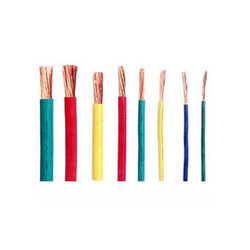 Owing to their high strength, fire retardant and unmatched quality, these wires are widely demanded and praised among the clients across the nation. We supply our range at affordable rates in market. Our firm is one of the trusted names in industry for manufacturing and supplying an extensive range of Bare Bunched Copper Wires. By following the industry standards and norms, these wires are made in accordance with the clients’ given specifications. Moreover, our comprehensive range is delivered in safe packaging and delivered within the prescribed time span. These wires are known for their high strength. 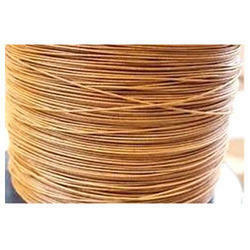 We have emerged ourselves as leading manufacturer and supplier of Bare Flexible Copper Wires. As per the industry standards, these wires are made under the vigilance and able-guidance of the industry heads. They keep a close-eye on every phase of the production processes to ensure that they are free from any defect and reliable in nature. We deliver these wires in reliable packaging for their safe transit. 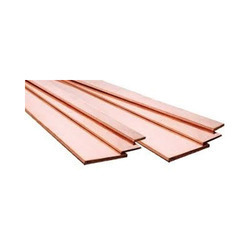 We are one of the well known and reputed manufacturers and suppliers of Copper Wires that are available in varied specifications and at economic rates. We follow international guidelines and set industry norms in fabricating these wires, which ensure their high strength and reliability. The materials we use to make these wires are sternly tested and well analyzed on pre-defined quality parameters. 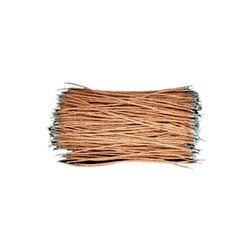 Available with us is a range of Tinsel Copper Wires, which is a form of electrical wire manufactured by wrapping several strands of thin copper foil around a textile core. 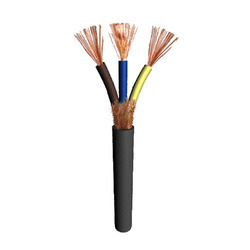 This extremely flexible wire is found in cords of telephone and is resistance to failing due to metal fatigue. Because the foil is very thin, its is extremely flexible. Crimped connections are commonly used. 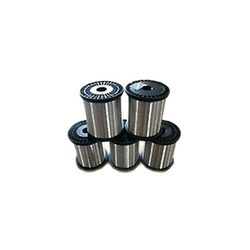 Usually, the connector has a series of barbs that pierce the insulation that covers the tinsel wire, allowing the connection to be made without any need to strip the insulation for the conductor. 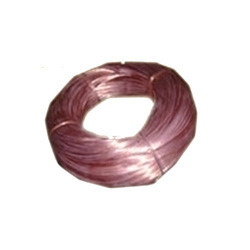 We offer high grade range of Braided Copper Wires, which is manufactured using electrolytic grade copper wire. This flexible connector delivers maximum amount of electrical power at peak efficiency. We precision engineer this assortment in various specifications, at half the resistance levels of present connectors. This connector is used to recompense the vibration, expansion and contraction of busses. In order to do tin coating on copper wire for Tin Coated Copper Wires the material needs to go through a serious of process. First, the Electrolytic Copper Wire is drawn into the specific size required through various machinery. 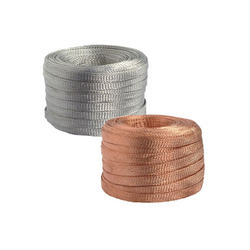 We have ready stock of Braided Copper Wires. Multiple strands of soft drawn bright annealed copper wire are bunched together & then braided into round hollow after that these round braids are pressed immediately on same machines to get desired width & thickness. 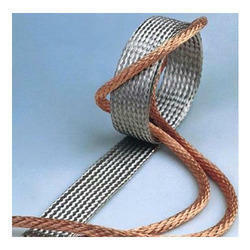 As these products are highly flexible same cross section can be maintained by changing size or design of braided product. Copper wire is selected for making these braids by understanding flexibility & affordability of unique customer. 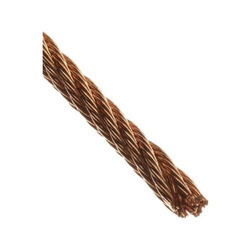 These flexible copper wire braided products are manufactured for diverse application like; Copper Flexible Connectors, Motor Brush leads, Circuit Breaker shunts, Flexible bus bars, Jointing Kits, Air Break Switches , De-soldering Braids, Television Sets & Ground Strap for Flexible Earthing Solution & so on. 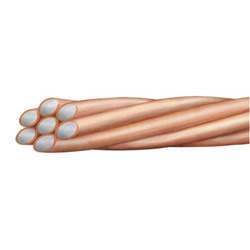 To meet the diversified requirements of our prestigious clients, we are offering an assorted range of Insulated Copper Wire. 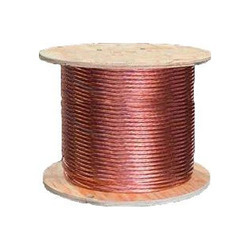 The offered copper wire is highly durable and is available in different specifications that meet the individual requirements and demands of the clients sufficiently. 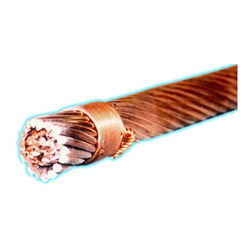 These copper wires are utilized in telecommunications, power generation, power transmission and circuits of countless types of electrical equipment. 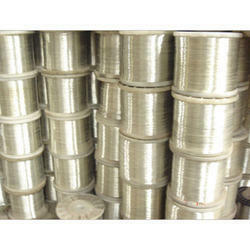 We offer our copper wire after checking them on several industry parameters. 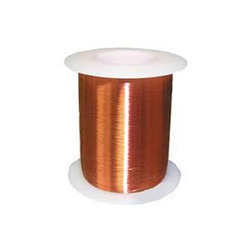 With the support of our dexterous team of professionals, we provide clients a high quality range of EC Grade Copper Wire. 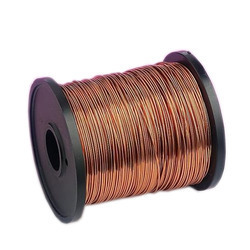 With the help of our sound infrastructure facilities and well trained professionals, we are able to produce the best quality copper wire in industry. Offered range is demanded in electrical, electronics, automotive and other engineering applications. Moreover, the range of copper wires is broadly used as overhead wires, in subways, electrically powered mine trains and industrial cranes. 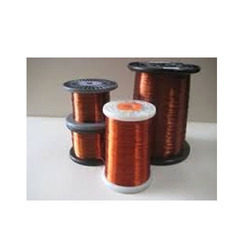 We are remarkable entity, engaged in offering superior range of ETP Grade Copper Wire. 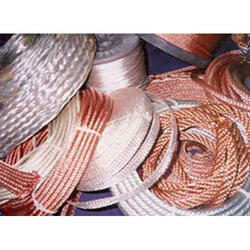 Our range of copper wires is widely demanded by machinery, workshops and automobile industries for their high strength. 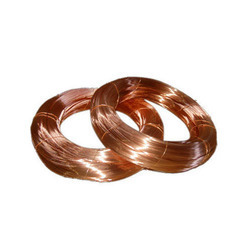 Our offered copper wires are well tested on predefined quality parameters by our quality inspectors, who are well versed in their respective domains. 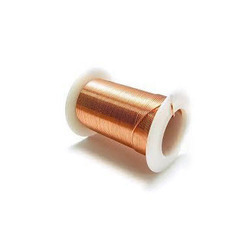 Our copper wires are available in many of the specifications as per the client’s requirements. 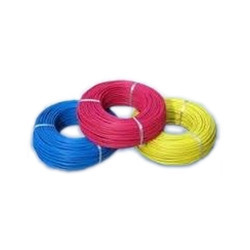 Leveraging on our experience, we provide an extensive range of Enameled Copper Wire that is valued for its abrasion resistance, high tensile strength, flexibility and can sustain high working temperature. Our offered copper wires are manufactured using best grade material along with advanced technology in sync with the norms of industry. We provide these copper wires in various widths and sizes in tune with the client's requirements. 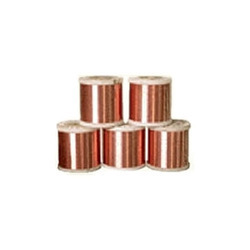 Being an eminent firm, we are offering a wide range of Electrolytic Copper Wires. 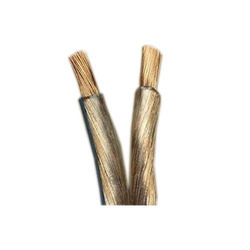 The offered copper wires have extremely high electrical and thermal conductivity, as compared with other metals wires. 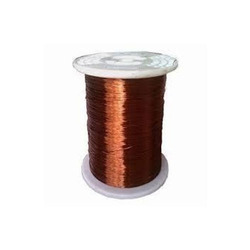 Additionally, copper wires provided from our end can be fully customized and tailor-made as per your specific requirements. Wires drawn out from copper displays good tensile strength, which is helpful in telecommunications industry where copper wires are used for transmitting signals across long distances. 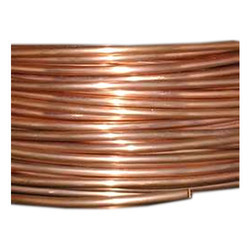 From the past couple of years, we are engaged in manufacturing and supplying a huge gamut of Bare Stranded Copper Wires. Available in different sizes, thickness and other related specifications, these wires are made in adherence with the industry norms. Our skilled and dedicated quality inspectors have sternly tested these wires on well defined quality parameters to ensure that they are free from any defect. 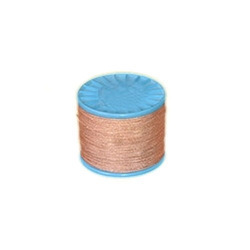 Bare Stranded Copper Wire is made by bunching/ stranding of multiple number of wires together in different specification as per client’s requirement. It is designed for extra strength and flexibility. In many cases, the type of wire that is used in a piece of equipment revolves around the need for flexibility. 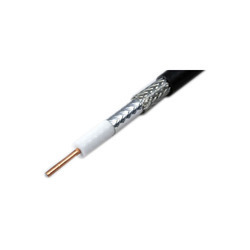 When flexibility is needed, it is necessary to use stranded/ bunched/ flexible copper wire. 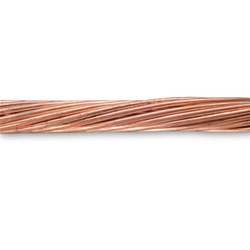 Stranded copper wire is much more flexible than solid wire and has a much larger range of motion. 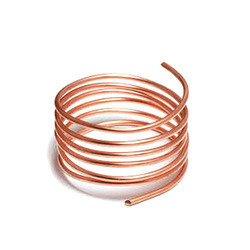 Solid copper wire can only be used in situations where there will be no movement required.In general, stranded/ bunched/ flexible copper wire should be used in situations where a great deal of flexibility is needed and solid wire should be used when rigidity and strength is necessary. Stranded wire is typically used in circuit board connections, audio headphones and connection areas around moving joints. 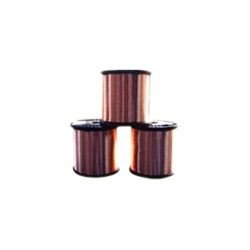 Solid copper wire is used in electric motors, coils and magnet wiring.The copper wire ropes are highly flexible and compensate for vibration, expansion etc. Being highly flexible these copper wires can be used as connectors.The "Approximate stranded metric equivalents" column lists commonly available cables in the format "number of strands / diameter of individual strand (mm)" which is the common nomenclature describing cable construction within an overall cross-sectional area. 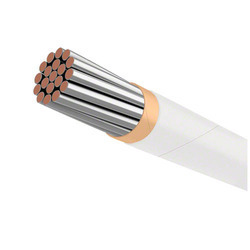 Stranded copper conductors are normally labeled according to the combined cross section of all strands in mm², which can be compared directly with the Area column.